The eyes play a big role in the laws of attraction. They can give you away when you're falling for someone. Staring into them can make someone else fall in love with you. 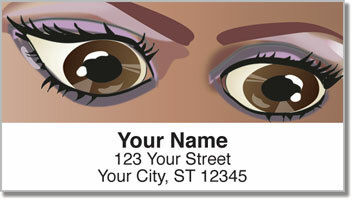 Vivid color in they eyes is something both genders are drawn to. That's why you always make sure your peepers pop! Your eyelashes are like the frames on two amazing works of art. 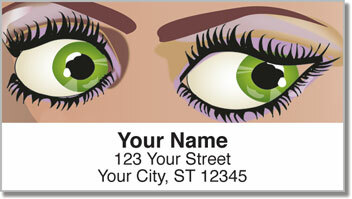 This original address label design features illustrations of lovely lashes on four different eye colors. Stick them on your outgoing mail for stylish finishing touch. 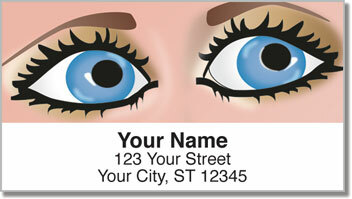 Your new labels are also self-adhesive. That means the annoying chore of filling out envelopes by hand will be eliminated forever. Just peel and place on all your letters and packages. 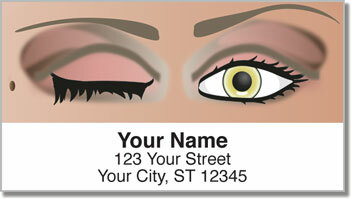 Get your very own Luscious Lashes Address Labels now! Complete the order with some matching checks.